With subtitles on some showing and audio loops at all viewings. Proetected space and suitable for advertising. 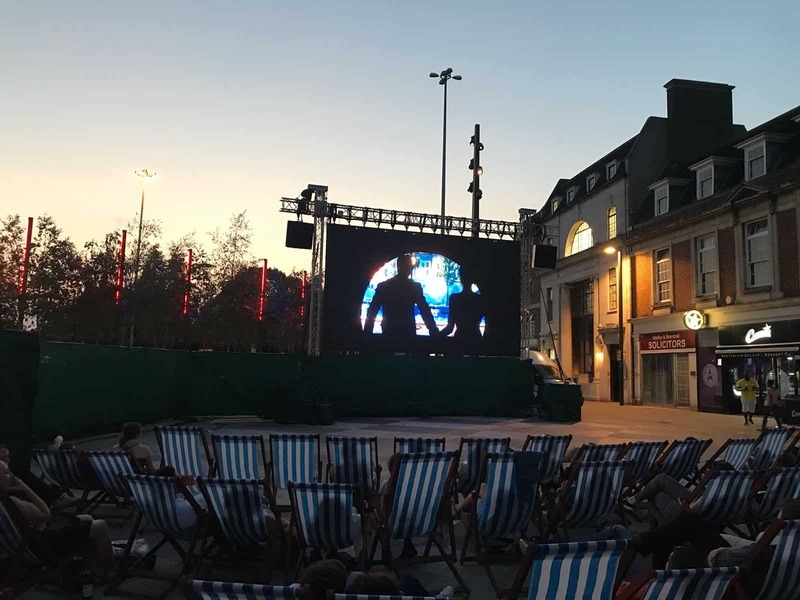 The Big screen, is a two week event in the summer season. An outdoor cinema experience for all the family to enjoy. 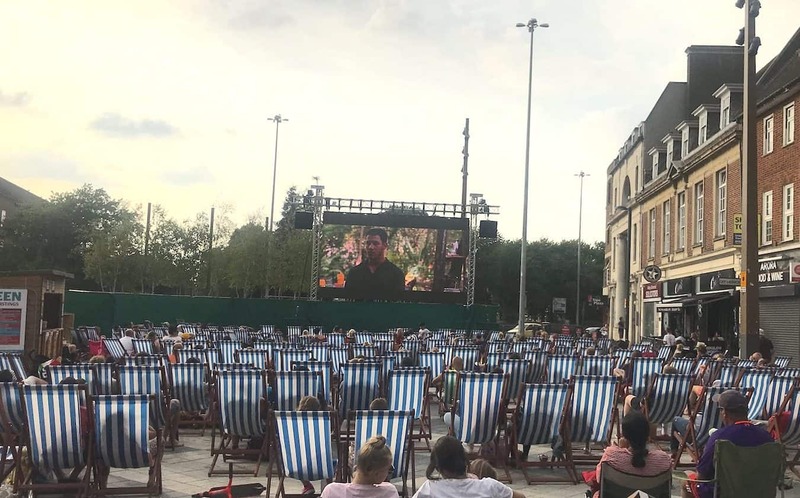 Our first year at the free film event included some of the biggest in blockbuster films, from Moana, The Greatest Showman, Wayne’s Worlds, Forrest Gump, Inceptions and many more. We also showed live coverage of the Wimbledon semi finals and Finals. As if the movies alone aren’t enough, our staff on hand ensure that its a proper cinematic experience. 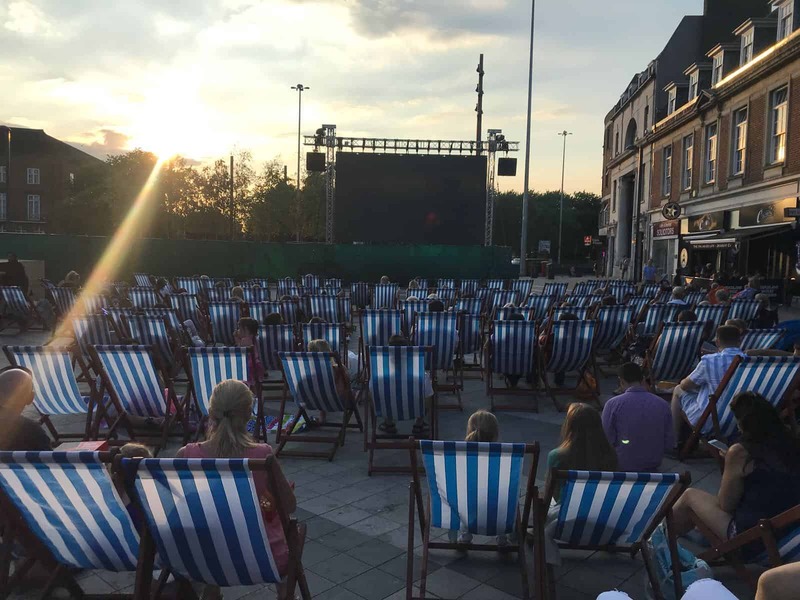 We offer deck chairs, hot and fresh popcorn served from our very own popcorn machine, snacks and a mini bar with refreshment as we have personal license holders on site.